When Dying Light was released back in February I foolishly managed to leave the money I had planned to buy this with at a cash machine, I have finally picked it up a few weeks back, Dying Light is an open world zombie survival horror video game and shares a hell of a lot in common with the flawed Dead Island. The city of Harran has become quarantined from the outside world due to zombie apocalypse sweeping it. The Global Relief Effort (GRE) send in soldier Kyle Crane with a mission to locate a terrorist named Kadir Suleiman located there who has gotten his hands on some sensitive documents that he is threatening to release to the outside world should anything happen to him. Crane's mission starts off badly as not long after he parachutes in he is ambushed by a bunch of thugs and when trying to defend himself he accidentally alerts a group of nearby zombies. A woman rescues him and takes him to her base but not before he is bitten and infected by one of the ghouls. Now Crane must not only locate the files but also look for a way to cure the disease he has found himself with. This is so close in style to Dead Island that it really does feel like a sequel. The plot is all different but it seems to have fixed a lot of the bugs and glitches that plagued that game. You can find blue prints to make crazy weapons (such as a machete that sets enemies on fire and poisons them), you collect random junk from all over the game world, you have plenty of side quests, and among the zombie ranks you get special infected with unique abilities. 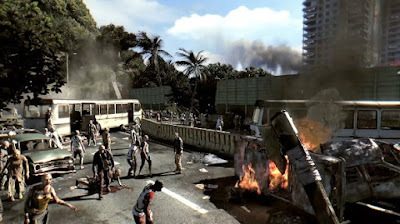 Even the location seems similar, the area is unspecified but everyone talks with accents just like in Dead Island. Being on current gen consoles there is a step up in quality here, the game world looks gorgeous, it is also very well designed mainly due to one thing; parkour. 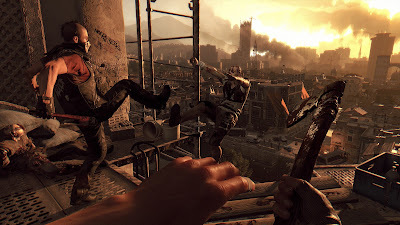 There are three skill trees in Dying Light that each have their own way of getting experience points. The first named Survival is levelled up by completing missions and helping out people in random encounters, as well as collecting supply drops. The second is all about combat, obviously fighting zombies and hostiles gains you this. The last part is all based on athletics, you get this through climbing over obstacles and using parkour skills. Every building, wall and vehicle can be easily clambered over or climbed up, ramps lead up to walls and zip lines let you quickly get from spot to spot. Later on you even get access to a grappling hook that lets you climb any building. As with Dead Island weapons degrade over time, melee weapons are in easy supply but guns are more limited and it was quite a while into the game before I even got one. 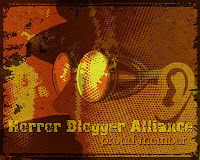 Using guns attracts the attention of zombies though and so it is not very wise to resort to them too often. Blueprints can be found or brought which give you ever more inventive ways to beef up your weapons, whether it be adding fire, poison, electricity or bleeding effects or making them sturdier and cause more damage, there is lots of room for experimentation with over 100 weapons available. 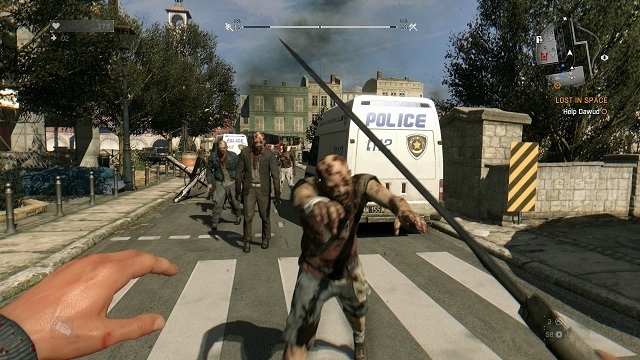 Combat is pretty fun when you get stronger weapons, lining up the cross hair with a zombies head usually results in a decapitation while you can also lop off limbs and slice in half. Later upgrades give you the ability to crush the head of any enemy who is laying on the ground, combined with the running upgrades makes getting around the game a lot easier. Your running skills are actually the thing I levelled up most, with an infinite amount of the undead there is no point fighting everything you come across. Much of the time it is far more quicker to traverse the city via rooftop, there are far less zombies and it looks a lot cooler as well. If you are on the ground at first it can be quite tough but there are a lot of fun upgrades that make you pretty unstoppable. 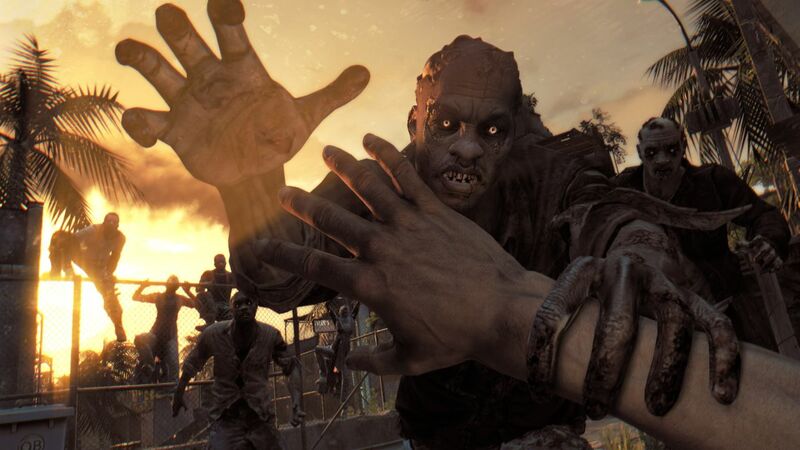 You get the ability to shoulder barge zombies out the way, do sliding tackles on them, drop kick them and break their bones, you can even jump on their shoulders and spring over them. There are also traps dotted around the maps so when you get the skill you can set off car bombs, UV light traps (UV damage certain zombies) and electrified doorways. If your out of options you can always coat yourself in ghoul blood and walk among them unscathed. Thankfully both the main mission and all the side missions are well written and fun to do. The main mission mainly involves you going after Rais and helping out key characters, there are some pretty exciting missions and some big plot twists, nothing that I had not seen before but they still came about unexpectedly such as an early one in which upon finding a crate of precious Antizan (zombie suppressant) you are ordered by the GRE to destroy it all rather than share it with the group you have joined up with. 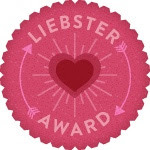 There are familiar themes of the people you are working for maybe not being as much of a force for good as is first suspected, and of huge cover ups that lead to some fantastic moments. This all leads up to a thrilling finale where all the parkour skills you have gained are put to use but which unfortunately results in an abysmal ending that left me feeling deflated. It doesn't help the very last part of the game is a protracted quick time event; this removed a lot of the agency from what was a decent enough revenge plot. The side missions are usually just fetch quests but they are dressed up with unique and fun stories that sometimes involve multiple quests. One such one had you performing missions for the governor of the city who promises you an airlift out of the city, that had an unexpected end, other missions have you following the instructions of a fortune teller, getting insulin for a child who is close to slipping into a coma and helping out a deluded man complete his special 'Armageddon Wall' with hilarious results. These missions could have been dull but each one promises an interesting time. Dying Light on the surface is serious in tone but there are so many silly side missions and incidental details hidden within, one I noticed early one was some make shift grave stones, one of the them saying something like 'here lies the man with the red shirt' which is obviously a nod to Star Trek. As well as the missions there are also a lot of challenges dotted around the game. 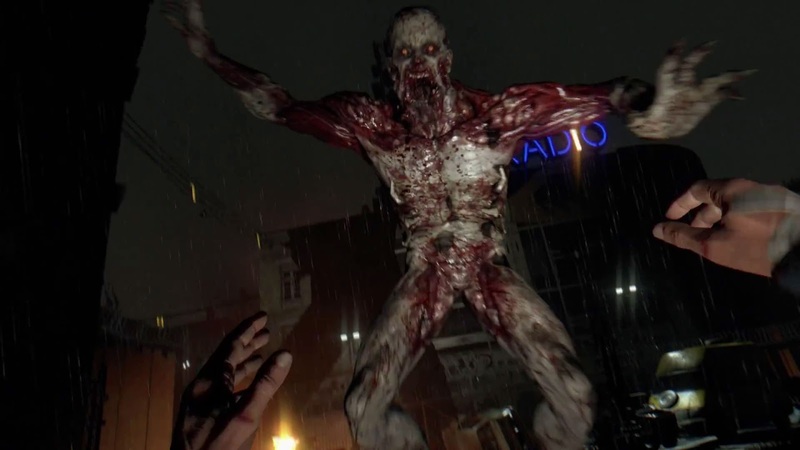 Challenges have three stages to them and usually task you with either killing a set number of zombies or racing to check points. These were mostly all super hard but again you are given reason for doing them, such as one combat one where the guy who asks you to do it is wanting to make a zombie film on the cheap (by having real zombies). The whole game can be played in co-op which is a nice touch, I never got to experience that part of the game though. There are a lot of undead here, a whole cities worth of course. Their main form of attack is by flailing their arms at you but they can also grab you and try and bite. Special zombie types are also abound. Runners are able to chase after you and climb obstacles in their pursuit. There are large zombies usually armed with a powerful club that you can fight, as well as ones who spit poison from a distance and annoying ones who self detonate when close. Later on hulking armoured creatures appear who rip up concrete to throw at you. There is a day/night cycle and when the game goes to night the whole thing changes. Not only is night time dark (obviously) but dangerous infected come out onto the streets. These deal high damage and are near unstoppable, they are meant to be avoided rather than faced. The fact that you get double experience for everything you do at night shows just how much harder it is designed to be. 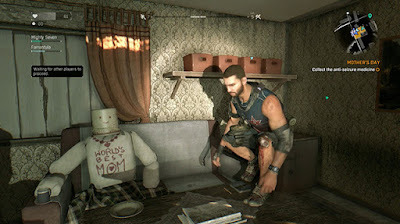 Thankfully there are safe house dotted all over the game which when cleared are zombie no go areas and so you are never far away from sanctuary. It is like they looked at Dead Island and fixed all the issues, I loved that game but this one is far more competently made. For a game which focuses so much on parkour it is a shame that the climbing mechanic is so hit and miss, I would say you have a 85% of successfully grabbing a platform you grab for, so many times I plummeted to my death for no reason other than the game deciding that no, this time the platform I have leaped for would not be grabbed. It seemed completely random if it would recognise your action or not leading to some really frustrating moments, especially the challenges which I just could not do due to my avatar refusing to climb on objects occasionally. When it works it is a lot of fun, I just wished it worked all the time. For the first time in an open world survival horror there are some moments of proper terror, these come from the self contained levels you occasionally get to do which gave me some feeling of fear I have not felt since the awesome Condemned. One level set in an apartment block had me tense as a coiled spring, while a level set in a sewer where zombies are popping up everywhere was terrifying, it helps that the great 80's sounding synth soundtrack compliments these perfectly. The self contained levels are by far the best part of Dying Light. The music throughout the whole game is perfect making you feel like your in one of the old classics at some points. There are no fast travel options which while adding on time to what is a long game (I reckon it took me at least 30 hours to beat) gives a greater sense of immersion. The variety is not as diverse as Dead Island, there are two large areas (the Slums and Old Town) which are well designed but when it comes down to it both just cities though do include rivers, lakes and mountain paths. Acting is so much better than Dead Island and the way you get information is also much better done, I loved how when you use the radio the voice comes out the PS4 controller, was a nice touch. 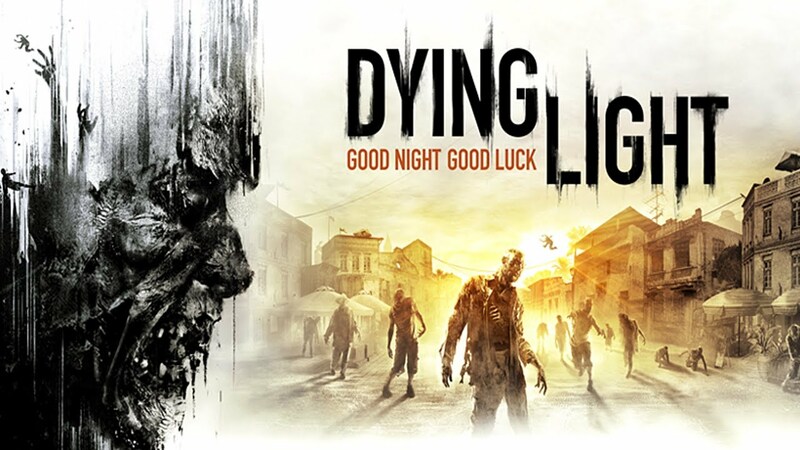 I have droned on long enough, I loved Dying Light, it is a huge step up from Dead Island and features a great story and soundtrack, I just wish the end of the game wasn't as awful as it was, there was also a long dream sequence that was quite dull. If only the climbing had been prefect rather than just competent as the frustration over that did sour my enjoyment of a great game.